Not surprisingly, much disinformation about NESARA can be found on the internet. Wikipedia’s article is total disinformation. 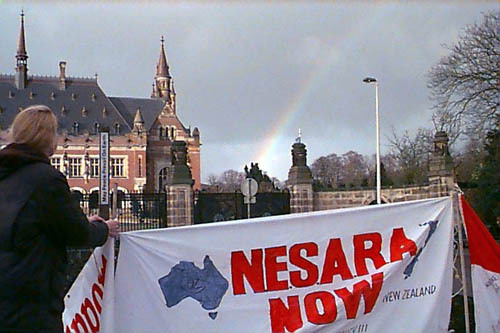 Dr. Harvey Francis Barnard’s NESARA bill—National Economic Stabilization and Recovery Act was rejected by congress in the 1990s. Dr. Barnard was a systems philosopher and had tried for years to interest Congress in his monetary reform suggestions. A testimony by Dr. Barnard’s close friend, Darrell Anderson, may be read at: http://nesara.org/book/ You may also read articles by Darrell Anderson at this site. Both men were interested in monetary reform.